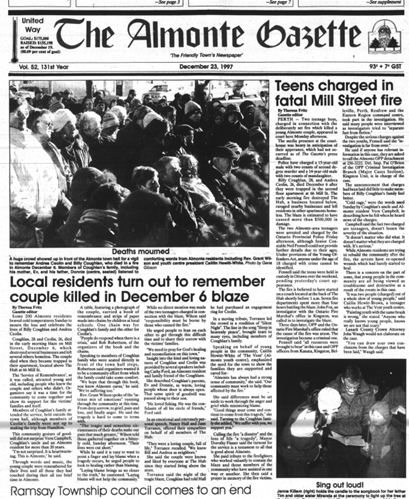 In December 1997, three young people lit a fire on the main street of the Town of Almonte in Lanark County as a prank. Two people died and a store was gutted. Concerned citizens of this small town (youth workers, police officers, business people, parents) came together to see if a service could be put in place for the community that would heal the harm caused by crime. In parallel to the offenders being dealt with by the judicial system, this grass roots community group wanted to encourage offender accountability, victim participation and community involvement in the aftermath of crime. This small town community group sought support from the police services, the Crown Attorney and various social service agencies as they struggled to deal with this issue. Through training provided by the RCMP and strong support from the local police services and the Crown Attorney, this grass roots rural group started to facilitate Community Justice Forums. Offenders, victims and others affected by the crime were brought together to work toward an agreement on how to heal the harm done and rebuild relationships. In addition to the forums, all promotional and administrative functions of the organization were handled by community volunteers. This pilot project brought the people of this rural community together and the program gained wider recognition. 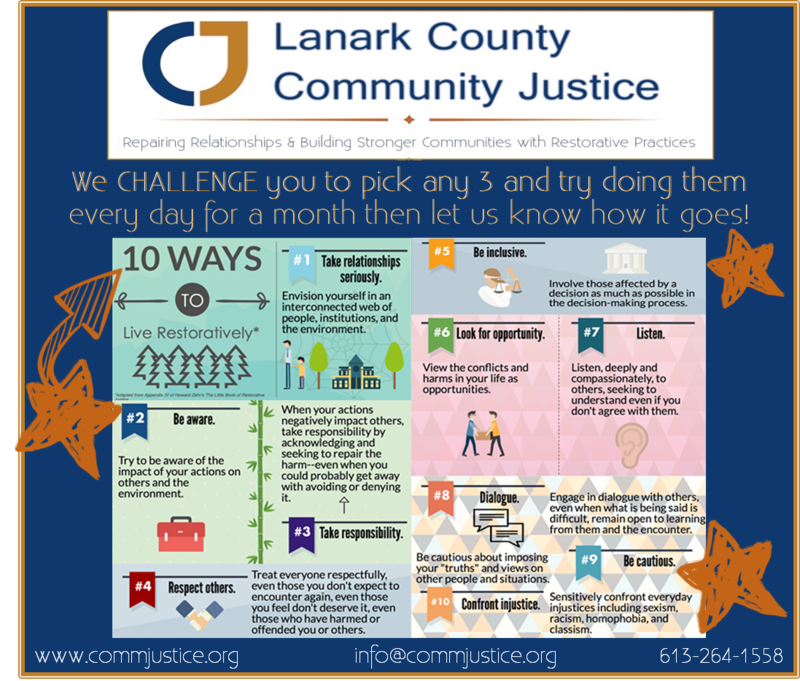 From this grass roots beginning, interest in restorative justice spread throughout the small towns and rural areas of Lanark County. 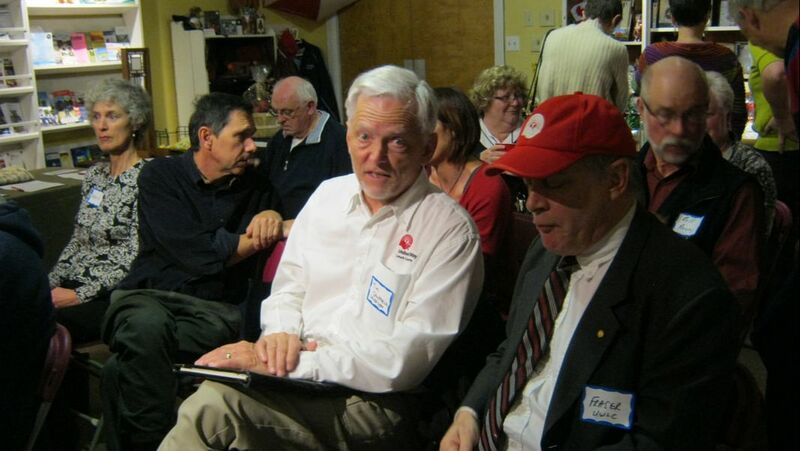 Interest groups formed in each of the major communities in the County (Carleton Place, Lanark Highlands, Mississippi Mills, Perth, and Smiths Falls). On July 7, 2000, the group incorporated as the Lanark County Community Justice Program Inc. 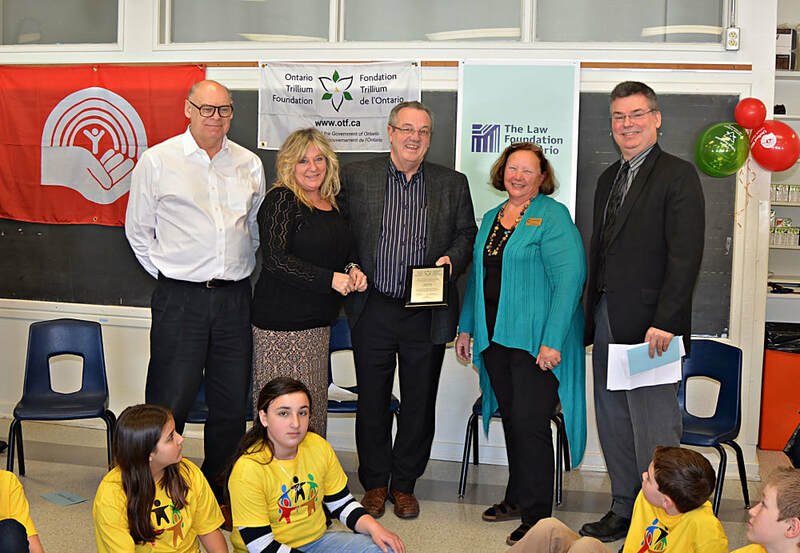 This status afforded the opportunity to seek financial support through a variety of grants such as the Ontario Solicitor General’s “Partners Against Crime” fund, Lanark County Council and local service clubs. In late 2002, Public Safety and Emergency Preparedness Canada (PSEPC) awarded a 3-year evaluation program grant, which was dependent on partnership funding.The partnership funding was secured in September 2003 through the Ontario Trillium Foundation, an agency of the Government of Ontario. 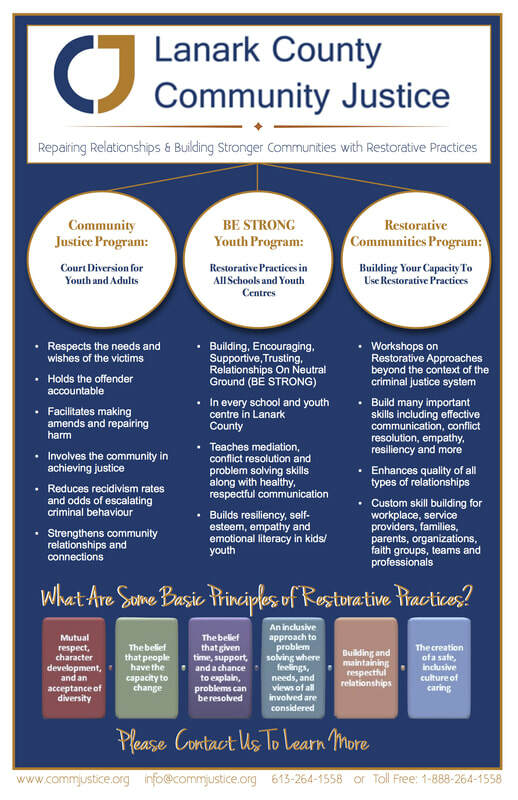 Through this program LCCJP was part of a national study on the efficacy of restorative justice. As the LCCJ program grew following incorporation, we partnered with the OPP and RCMP to train additional new volunteers in the facilitation of Community Justice Forums. In addition, our first part-time staff person was hired in November 2003 as a Program Coordinator. In January 2004, the Coordinator became a full time position and we hired a full time Administrative Coordinator. March 2006, Marion Taylor Forum Coordinator resigned and Bill Code replaced Marion as Acting Forum Coordinator. In October 2006, LCCJ was selected as a one of the Ontario Youth Justice Committee sites (YJCs). YJCs use trained community volunteers to meet with young people between 12 and 17 alleged to have committed non-violent offences and their parents, along with the victims to talk about what happened, who was impacted and how the harm can be repaired. ​NOTE: This history is a work-in-progress and we welcome input from anyone who can add missing information. Please contact us at admin@commjustice.org if you can supply the missing pieces. We would also love photos from the past if you have any to share.